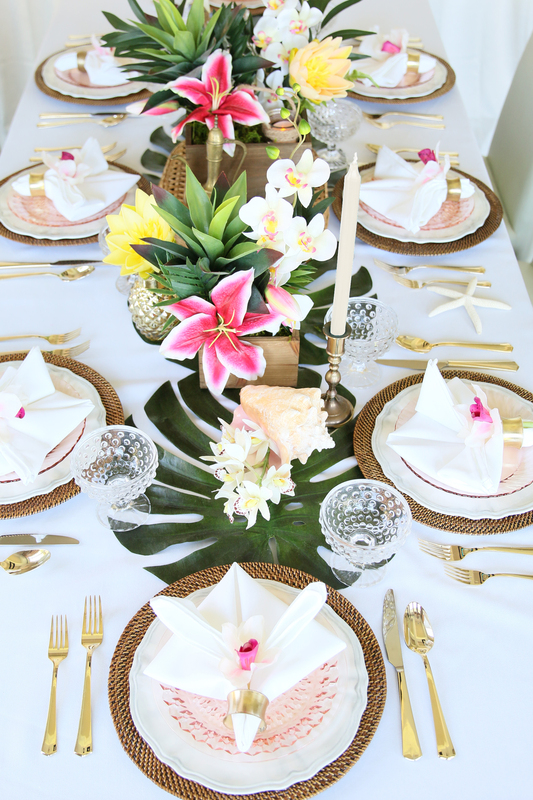 This luxurious, vacation inspired collection will make any honoree feel beautiful and serene on her special day. 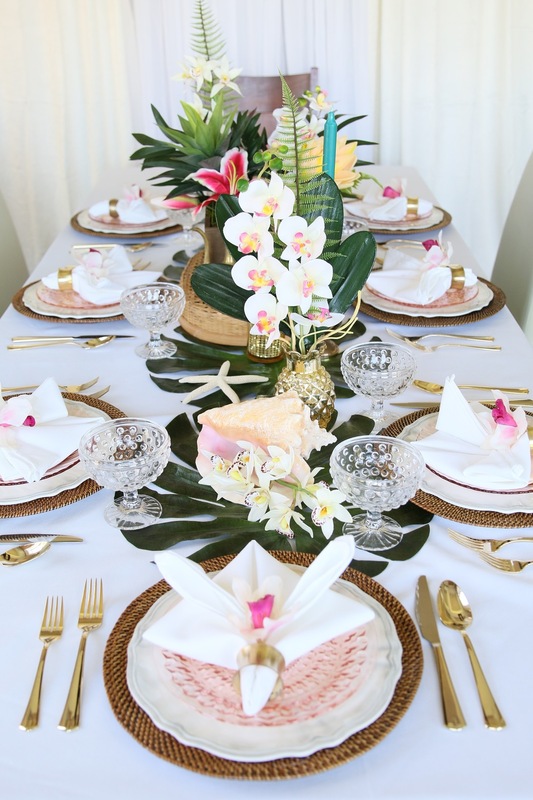 With palm leaves, tropical flowers, golden pineapples, wicker chargers, seashells, and golden accents, you and your guests will experience everything there is to love about the tropics. 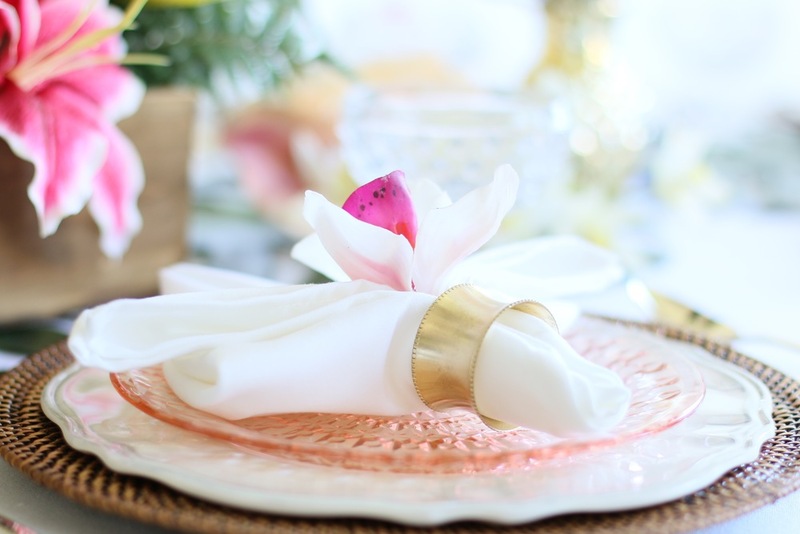 This is a dream collection for a baby shower, bridal shower, or birthday celebration. Paradise has never been so close!